Yes, they're real! 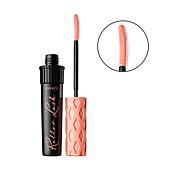 For lashes beyond belief, this jet-black mascara helps lengthen, curl, volumize, lift and separate the look of your lashes for gorgeous definition. 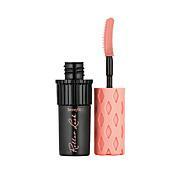 The long-wearing formula dries glossy, and the custom-designed brush helps reveal lashes you never even knew you had! Ingredients: Water (Aqua), Paraffin, Polybutene, Styrene/Acrylates/Ammonium Methacrylate Copolymer, Beeswax (Cera Alba), Bis-Diglyceryl Polyacyladipate-2, C18-36 Acid Triglyceride, Palmitic Acid, Stearic Acid, Triethanolamine, VP/Eicosene Copolymer, Acacia Senegal Gum, Hydroxyethylcellulose, Phenoxyethanol, Tetrasodium EDTA, Butylene Glycol, Caprylyl Glycol, Tocopheryl Acetate, Sodium Laureth-12 Sulfate, Glycerin, Potassium Sorbate, Sericin, Calcium Chloride, Sodium Hyaluronate, Tilia Tomentosa Bud Extract, Citric Acid, BHT, Sorbic Acid, May Or May Not Contain: Iron Oxides (CI 77491, CI 77492, CI 77499), Ultramarines (CI 77007), Chromium Oxide Greens (CI 77288), Chromium Hydroxide Green (CI 77289), Titanium Dioxide (CI 77891). 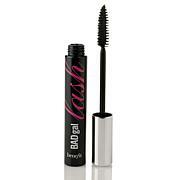 I've been using Benefit They're Real Mascara for several years. Of course, in the past I must have used just about every brand, or "new best thing" on the market. Yet, in all honesty, I've never found anything quite like this brand. It does not flake, cake, clump or smudge. It stays put until I take it off. The extension & depth it gives my lashes is extraordinary. I cannot count the number of women that have asked me what "brand" I use. It's brought many new customers to Benefit Mascara. I have tried so many mascaras but this is truly the best I have ever used. I love this mascara! It last all day, it doe not run or clump. It washes off easily without taking my eyelash off. Can't wait for it to go on sale again! The blue mascara is Fabulous and last all day!! Love Love the product.. I have and will continue to recommend to family along with friends. We're not saying it's waterproof ... it's better-than-waterproof! 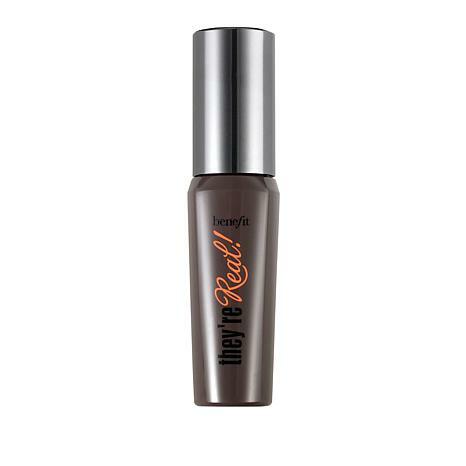 This stay-put mascara is the water-resistant formula you've been looking for. It's gentle enough to be worn every day and is easily removed with warm water and gentle pressure. Bye bye runny, smudgey eyes! What You Get .33 fl.